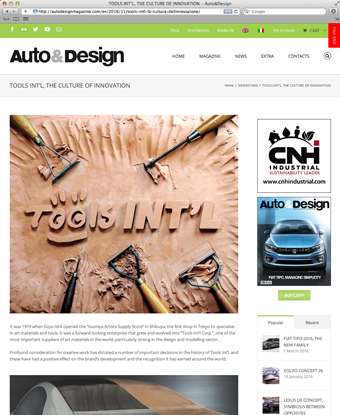 TOOLS INT’L advertise an article in Auto & Design magazine. | Events / News | TOOLS INT'L Corp.
TOOLS INT’L advertise an article in Auto & Design magazine. We are pleased to inform you that we advertise an article in Auto & Design issue 221st. In the article, we introduce our chronicle and progressing for the future. You can check the summary on the website of Auto & Design below. For more details, please feel free to contact with us.